The coastal town of <a href="http://en.wikipedia.org/wiki/Zadar">Zadar</a>, Croatia is home to a set of incredible public art installations that harness the waves and the sun where the waterfront meets the Adriatic Sea. 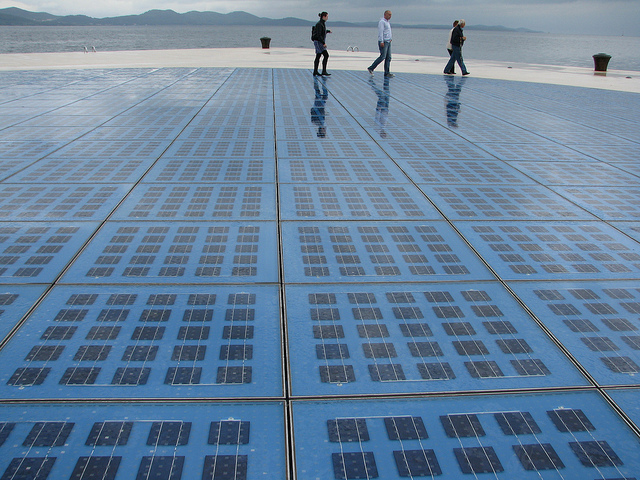 Installed after the shore front's renovation in 2005, the "Sun Salutation" is a massive public pavilion emblazoned with a circle of <a href="https://inhabitat.com/solar-power">photovoltaic cells</a> interspersed with <a href="https://inhabitat.com/tag/leds">LED</a>s that burst into light when the sun sets. The site also features the "Sea Organ" - a massive musical instrument that transforms the ebb and flow of the ocean into a calming seaside melody. 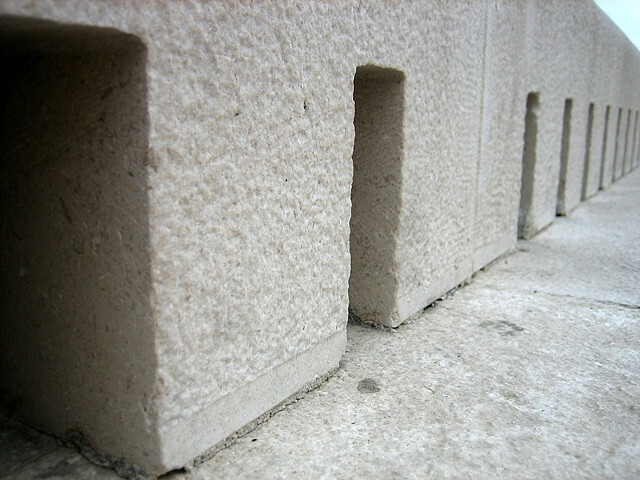 The Sun Salutation, designed by <a href="http://en.wikipedia.org/wiki/Nikola_Ba%C5%A1i%C4%87">Nikola Basic</a>, is a vast circle of <a href="https://inhabitat.com/lichtaktiv-haus-is-the-energy-efficient-home-of-the-future/">solar panels</a> paved into the ground. At night the panels light up in an array of patterned lights. 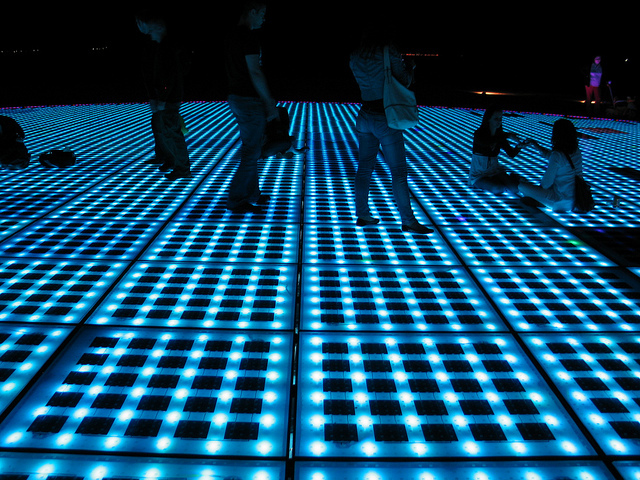 The panels emit dancing sequences and attract huge throngs of visitors to Croatian seafront. 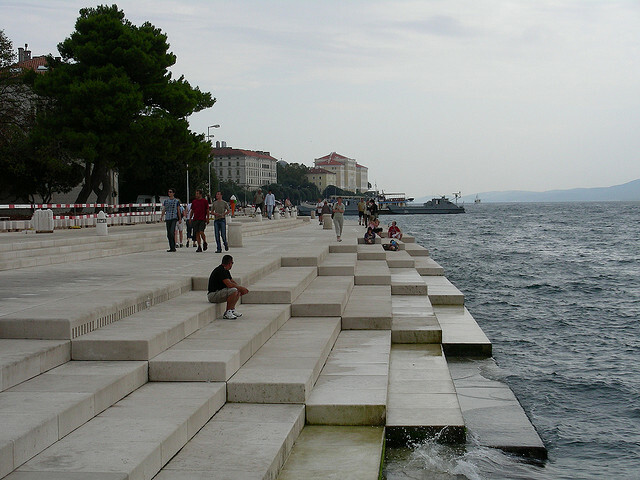 The Sea Organ is another installation by <a href="http://en.wikipedia.org/wiki/Nikola_Ba%C5%A1i%C4%87">Nikola Basic</a> that is built into the marble steps of the shorefront, where it turns the constant lapping of the waves into a calming series of sounds like a whale song. 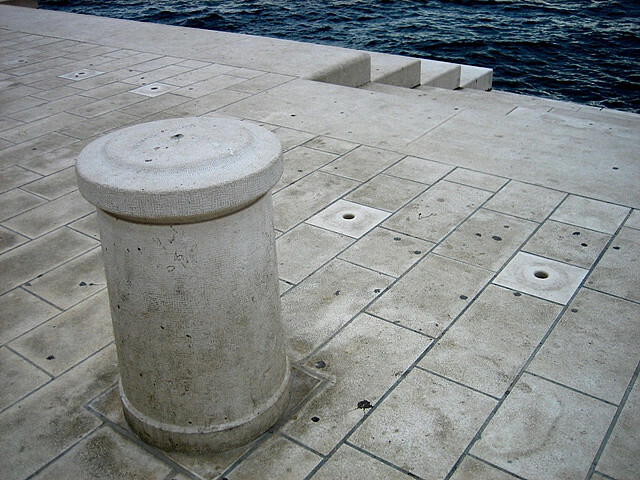 The Sea Organ adds to the simple beauty of the renovated seafront, which serves as the bridge between the open sea and the city's public space. The 35 <a href="https://inhabitat.com/brc-designs-unveils-amazing-piano-key-chair-at-icff/">pipe organs</a> emit magical sounds as active swimmers and playful teenagers dive from the coast into the open sea. 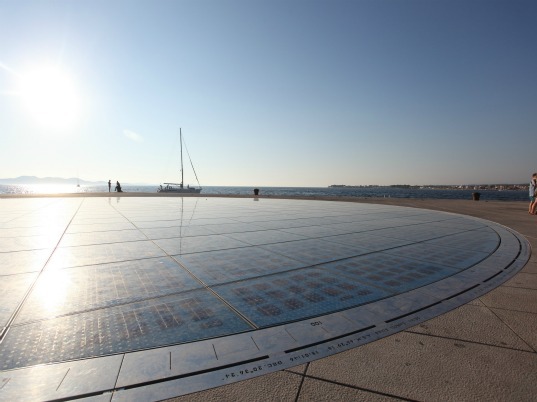 The coastal town of Zadar, Croatia is home to a set of incredible public art installations that harness the waves and the sun where the waterfront meets the Adriatic Sea. 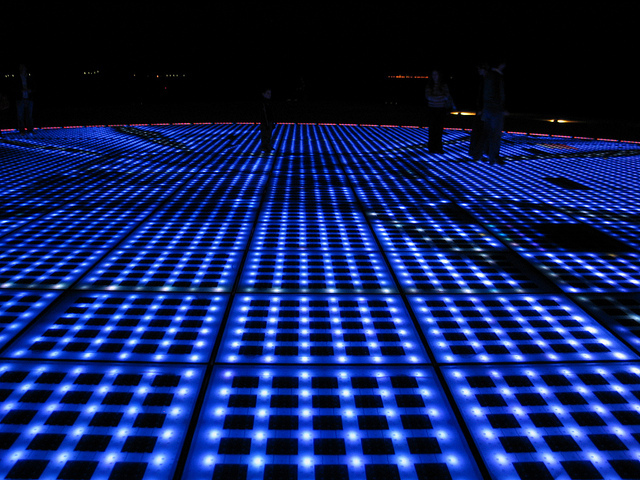 Installed after the shore front's renovation in 2005, the "Sun Salutation" is a massive public pavilion emblazoned with a circle of photovoltaic cells interspersed with LEDs that burst into light when the sun sets. The site also features the "Sea Organ" - a massive musical instrument that transforms the ebb and flow of the ocean into a calming seaside melody.